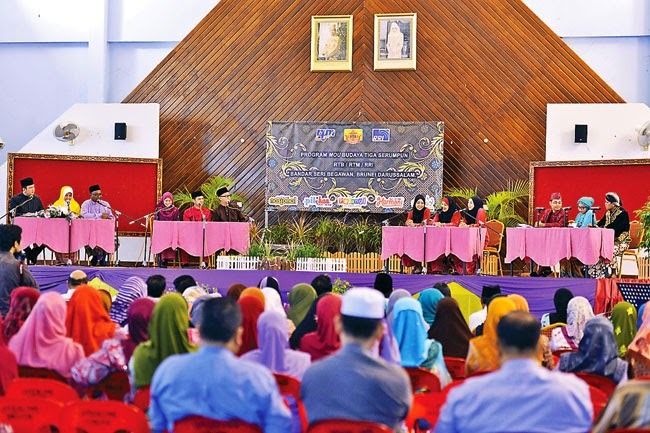 THE Radio Services at the Radio Televisyen Brunei (RTB) played host for the ‘Program Budaya Tiga Serumpun’ with the Radio Televisyen Malaysia (RTM) and Radio Republik Indonesia (RRI). The programme is one of the cultural activities between the three countries under the Memorandum of Understanding (MoU) that was inked in 2006. The recording session for ‘Program Budaya Tiga Serumpun’ took place yesterday at Sengkurong Community Hall. Present as the guest of honour was Haji Mohd Rozan bin Dato Paduka Haji Mohd Yunos, Permanent Secretary (Media and Cabinet) at the Prime Minister’s Office. In his welcoming address, the Director of RTB, Haji Mohammad Suffian bin Haji Bungsu, said the programme is part of the effort in preserving ‘Pantun’ (Malay poetry), which has been inherited by the Malay community in the archipelago. “Apart from that, the programme also aimed to encourage the younger generation to uphold the values, beauties and prestigious contents of the style of language that is used in the ‘Pantun’ and the content of its philosophy,” he added. In relation with this, he continued, the broadcasting stations have a vital role and responsibility in preserving the cultural tradition so that it will not be extinct. In yesterday’s session, two programmes on ‘Berbalas Pantun’ were recorded for the upcoming new year 2015 celebration. The officers and staff from the three broadcasting stations will also be involved in radio drama production apart from visiting several interesting places in the Sultanate. Besides the ‘Program Budaya Tiga Serumpun’, RTB, RTM and RRI also conducted several exchange visits and organised a number of activities in promoting their respective culture. In addition, work attachments were also held for their respective broadcasting staff. In further enlivening the recording session, members of the Mukim Sengkurong Consultative Council also took part in the ‘Mukun’ and other cultural performances. The foreign delegates also had the opportunity to take a closer look at the local products that were produced by members of the council. 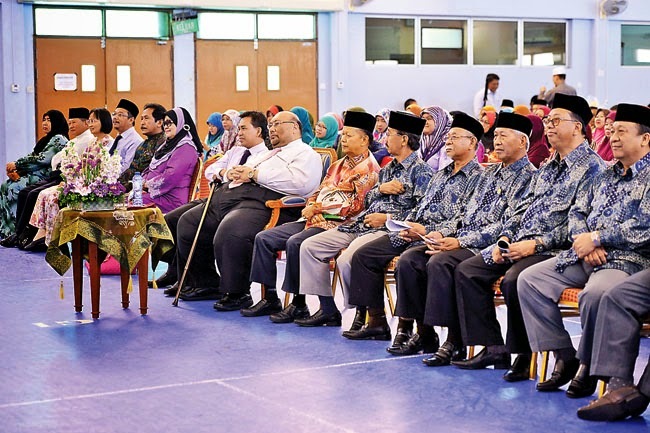 Also present at the ceremony yesterday was Dato Paduka Awang Haji Puasa bin Orang Kaya Seri Pahlawan Tudin, Advisor for the Mukim Sengkurong Consultative Council.